This Summer, Get Your Kids to Their Pediatric Dentist in Birmingham! With the summer season just around the corner, your kids will have a lot more time to play outside, go on vacation, and soak up the warm weather. While you don’t want to interrupt them, it’s important that you set aside time for their dental visits for a few reasons. Today, your pediatric dentist in Birmingham wanted to explain what they are, as well as what you can expect when you bring them in for a checkup. With your kids out of school, you won’t have to worry about interrupting their extra-curricular activities with dental visits. This can be especially difficult if you have multiple children playing sports and they all have different schedules. That means during the school year, you’ll need to take them all to their checkups separately, rather than all at once. When you visit a pediatric dentist, you won’t have to worry about their abilities to accommodate all your kids. It’s much easier to schedule them all for their checkups in a single weekend, rather than having to stretch all of them out days or even weeks apart. Turns out, summer vacation isn’t the only ideal time period to get your children in for a checkup. Once winter rolls around, your children typically have about a month out of school during the months of December and January. Since the American Dental Association recommends patients should see their dentist every six months, summer is the most convenient time to have the initial checkup. This way, their next visit can be during their winter break, approximately six months later. Additionally, bringing your child in every six months is a great way to practice preventive care. In most cases, early signs of tooth decay or gum disease cannot be seen by the naked eye or even physically felt. However, your pediatric dentist uses her expertise and technology to catch early signs before they have a chance to do any damage. That’s why regular visits are infinitely better than waiting for a problem to arise. Since you aren’t going to be able to watch your child’s oral care habits forever, it’s essential that you establish good ones at a young age. Of course, part of establishing good habits is visiting the dentist regularly. Doing this allows your dentist to confirm their habits are up to par and provide advice when needed. You’re dentist will also be able to recommend treatments that will give them additional layers of defense. 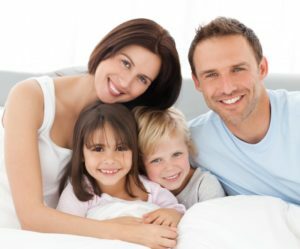 For example, treatments like dental sealants and fluoride treatments can protect your child from cavities while they hone their brushing techniques. Have you scheduled your children’s dental appointments this summer? Call your pediatric dentist in Birmingham today to keep their oral health on track! Dr. Angelica R. Rohner earned her D.M.D. degree from the University of Mississippi School of Dentistry. 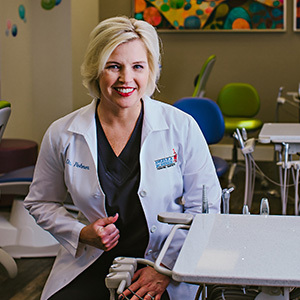 She’s Board-Certified in Pediatric Dentistry as well as a Diplomate of the American Board of Pediatric Dentistry. To learn more about her practice, contact her through her website. Comments Off on This Summer, Get Your Kids to Their Pediatric Dentist in Birmingham!